It has now been proven that the ‘Vaccine Damage Payments Unit’ (VDPU) not only cherry pick who they award compensation to, depending on the level of disability but also change their rules to suit their needs, as they go along. Katie Stephen has been left permanently and profoundly deaf in her left ear as a result of receiving the now banned MMR vaccine Pluserix. Despite her injury however, Katie has been refused compensation for her disability because the VDPU deems her to be less than 60% disabled. Katie Stephen was a healthy baby girl when she was injected with the MMR triple vaccine. Ten days later she was vomiting, delirious, screamed continually and was feverish with an inflamed left tympanic membrane and a sore throat, all signs that Katie may have been suffering from encephalitis (inflammation of the brain) a condition known to cause deafness. So what constitutes 60% disability and who makes up these ridiculous guidelines in the first place? A vaccine injury is a vaccine injury, period! This means that a person, in this case a child, has been damaged by a vaccine, sanctioned by their government and authorized as safe. Katie was given a vaccine that left her with a permanent life long disability. The definition of the word ‘disability’, means that a person has a physical or mental condition which seriously inhibits their ability to interact with others and enjoy life to the full? Katie has adapted her world to fit the requirements of the hearing world. She has had to make huge sacrifices such as forgoing a normal teenage life, enjoying parties, trips to the fairground and cinema: is this not disability enough to satisfy the VDPU? It has been accepted that, on the balance of probability, vaccination has caused/contributed to Katie Stephen’s disablement. The overall evidence suggests that the MMR vaccine given, which contained the Urabe strain of attenuated mumps virus was biologically capable of causing sensori-neural deafness. This vaccine was subsequently removed from use. Katie was well when given her vaccination on09/12/1991and on22/12/1991had an inflamed tympanic membrane. Health Visitor records confirmed hearing loss on left side at 18 month assessment, when previous tests were normal. 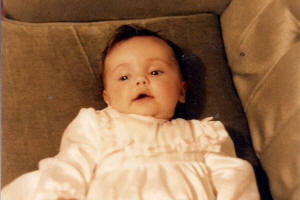 Katie was diagnosed with sensori-neural deafness in 1996. On the balance of probabilities, it is more likely than not, that the sensori-neural deafness of the left ear was caused by the MMR vaccine. If you’re severely disabled as a result of a vaccination against certain diseases, you may be able to get a Vaccine Damage Payment. This is a one-off tax-free payment of £120,000. Find out more about Vaccine Damage Payment including how to claim. Disablement is worked out as a percentage, and ‘severe disablement’ means at least 60 per cent disabled. This could be a mental or physical disablement. For example, total loss of sight or hearing is usually counted as 100 per cent..
You should let the office that deals with your benefit or tax credit claim know if you’ve got a Vaccine Damage Payment. They will then be able give you more information. So basically if you have a limited income and receive any of the above benefits and theUKgovernment introduces a dangerous and life threatening vaccine such as Pluserix into the children’s vaccine schedule, which then injures or even kills your baby, the VDPU may pay you compensation but you could loose your home as a result!!! In the UK Housing Benefit can pay the full rent and Council Tax for a family if they are on limited income. These families can also receive a combination of the above benefits on top. Effectively this means that a family already needing to be financially supported by the government agencies will be further penalized if their child is severely disabled as a result of a vaccine that they have sanctioned. Now, how can a baby injured by a vaccine, that the government has authorized as a safe vaccine, be compared to an individual who has had an injury in the work place? The whole system is totally corrupt!! Now if this all is not bad enough, this is where it all becomes really interesting. I will begin by giving a brief history of the vaccine Pluserix. The Pluserix MMR vaccine was originally introduced to the UKin 1988. Unlike Merck’s MMR vaccine MMR11, Pluserix, manufactured by Glaxo Smith Kline contained the Urabe mumps strain of the mumps virus. Due to the growing concerns about the vaccines safety Pluserix was later removed from the market in 1992. Interestingly, however, Pluserix was first manufactured as Trivirix in Canada who withdrew the vaccine from use the same year as it was introduced to the UK vaccine schedule in 1988, Despite knowing this, the Joint Committee on Vaccination and Immunization still went ahead and introduced the vaccine into the UK with it’s new name Pluserix , that same year. Maybe, GSK and the UK government naively believed that by giving the vaccine a new name, it would be second time lucky for this ill fated vaccine? Sadly and tragically history repeated itself and on September 14th1992 Trivirix/Pluserix was withdrawn from use in theUK. It has been revealed that many children who had been given Pluserix, suffered severe side effects including, mumps, meningitis and encephalitis. It is a recognized fact that encephalitis can lead to deafness. Effectively, Katie was damaged by a vaccine that was known to the government in 1988 to be unsafe but this government decided to vaccinate children as young as 13 months old with it anyway. Not only that but when Pluserix was advertised to GP’s in the medical journals, it was not advertised with the ‘black triangle’ status symbol. All new vaccines and drugs should have what is known as the ‘Black Triangle’ status. The black triangle is a standard symbol added to the vaccine or drug’s product information during the early stages of use. It is used to warn doctors that they are using a new product to encourage vigilance and reporting of all suspected adverse reactions during the early stages. If a doctor, nurse or pharmacist suspects an adverse reaction has occurred when they have been using a black triangle product, they should report it to the Committee on Safety of Medicines immediately, by using the Yellow Card spontaneous reporting scheme. This system is designed to pick up unexpected problems or rare side effects. It was this system which led to the withdrawal of two brands of MMR vaccine, which used a particular strain (Urabe) mumps virus in their manufacturing process. Post marketing surveillance determined an unacceptable risk of vaccine-related encephalitis, which in turn led to MMR vaccines containing the Urabe mumps strain to be discontinued in 1992. When asked who is responsible for giving drugs and vaccines the black triangle status, the MHRA replied that it was the pharmaceutical industry. This means that GSK did not comply with the guidelines set out to ensure the publics safety regarding this vaccine. It is totally unacceptable that Katie has been treated in this way. It is about time this whole situation was resolved and Katie received the compensation she deserves. She was vaccinated with a vaccine that was dangerous, unsafe and should never have been authorized in the first place. Not only this but the drugs company who manufactured this vaccine did not comply with safety regulations required for all new drugs and vaccines. It does not matter what degree of disability this child suffered, she was injured by this vaccine. For goodness sake, if it was a car taken off the road for causing a small child to be injured there would be a public outrage. I would like to thank Wendy Stephen Katie’s mother for providing me with the documents and letters to enable me to expose this issue.